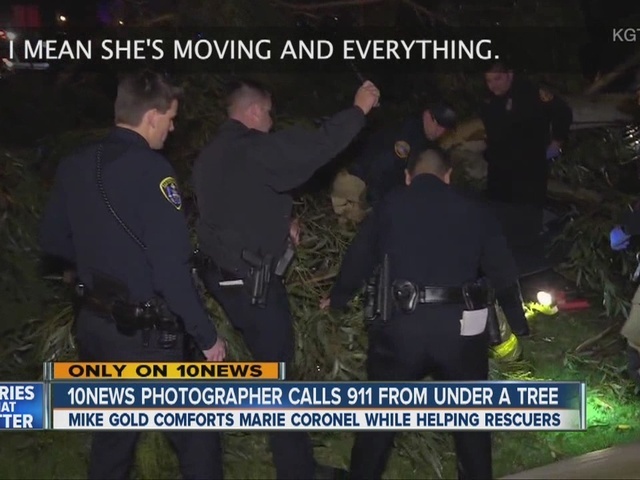 SAN DIEGO – The 10News reporter and photographer are continuing their recovery after being struck by a fallen tree Monday morning in Mira Mesa. Marie Coronel underwent a six-hour surgery Thursday to repair several broken bones. She remains hospitalized. Photographer Mike Gold has returned home as he recovers from a badly broken leg. 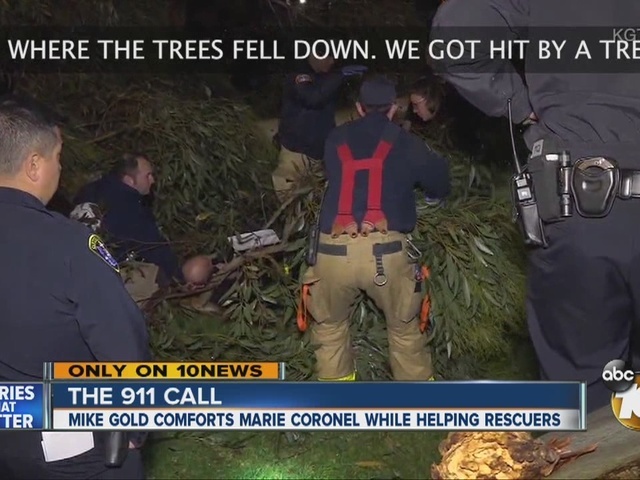 Mike called 911 from underneath the tree immediately after the incident. The phone call reflects more heroism than horror.